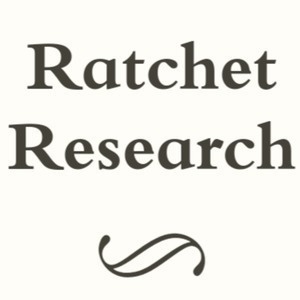 Ratchet Research 2 - True Crime | Black Girl Squee! In the second episode of Ratchet Research, hosts Katrina Jackson (@exrecluse) and Didi Jenning (@dustdaughter from Black Girl Squee!) talk about all things true crime. The gateway is true crime podcasts like Crimetown, Stranglers, and Missing & Murdered. Listen as Katrina breaks down her categories of true crime podcasts from the 'chill' ones to the 'dark and scary' ones. We also get into books and television that fit into the genre before musing about what if anything they reveal about the criminal justice system. Press play for a great discussion, then find out what we'll cover on episode three of Ratchet Research! Want to tell us what you think of the show? Then contact host Katrina Jackson (@exrecluse) or Didi Jenning (@dustdaughter) on Twitter. You can also email blackgirlsquee@gmail.com and put 'Ratchet Research' in the subject line. Finally, if you like what we're doing on this feed and would like to support, check out the BGS patreon here!